NASA launched its Aura satellite from Vandenberg Air Force Base, California, at 3:01 a.m. PDT on July 15, 2004. 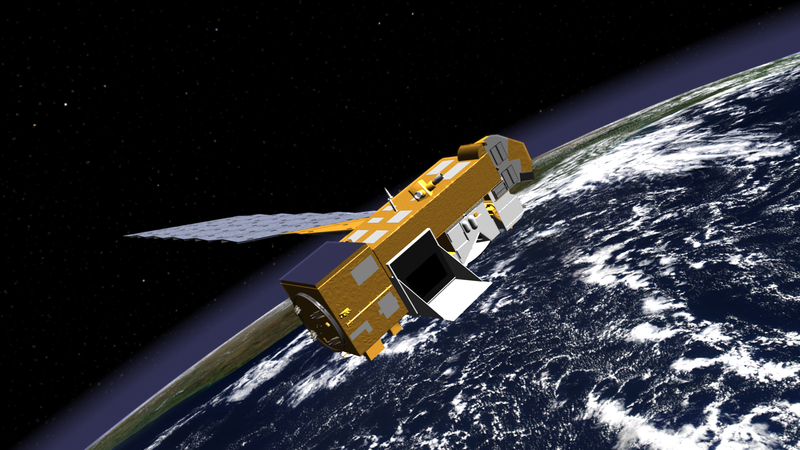 At 4:06 a.m. PDT, Aura was safely deployed into orbit 705 kilometers (438 miles) above Earth. The purpose of the mission is to help us better understand and protect our world’s atmosphere. Aura is the third and final of NASA’s Earth Observing System (EOS) flagships. Together with Terra and Aqua, these three missions give scientists the ability to examine our whole world every day in unprecedented detail. Aura will help scientists answer three key questions: Is the Earth’s protective ozone layer recovering? What are the processes controlling air quality? How is the Earth’s climate changing? Aura also will help scientists understand how the composition of the atmosphere affects and responds to Earth’s changing climate. The results from this mission will help scientists better understand the processes that connect local and global air quality. NASA expects early scientific data from Aura within 30-90 days. 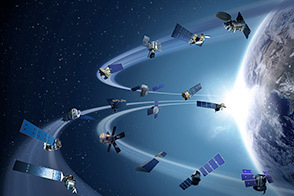 Aura carries a multi-national payload of four onboard sensors specially designed to observe and measure different aspects of Earth’s atmosphere—the High Resolution Dynamics Limb Sounder (HIRDLS); the Microwave Limb Sounder (MLS); the Ozone Monitoring Instrument (OMI); and the Tropospheric Emission Spectrometer (TES). HIRDLS was built by the United Kingdom and the United States. 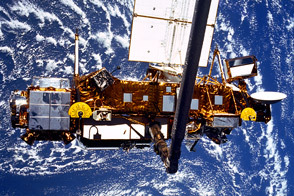 OMI was built by the Netherlands and Finland in collaboration with NASA. NASA’s Jet Propulsion Laboratory constructed TES and MLS. NASA’s Goddard Space Flight Center manages the Aura mission. Read the NASA press release for more details about the launch. For more information about the mission, visit the Aura Web site. 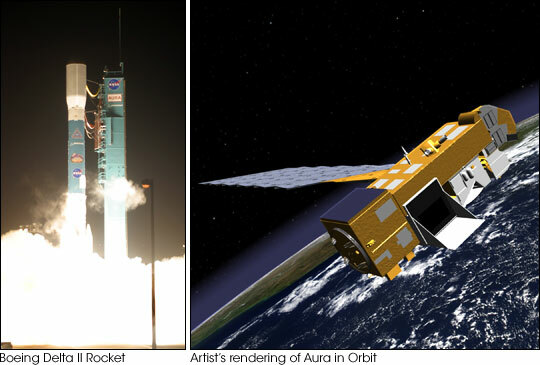 NASA images and animations of Aura satellite by Jesse Allen and Reto Stöckli, Earth Observatory. 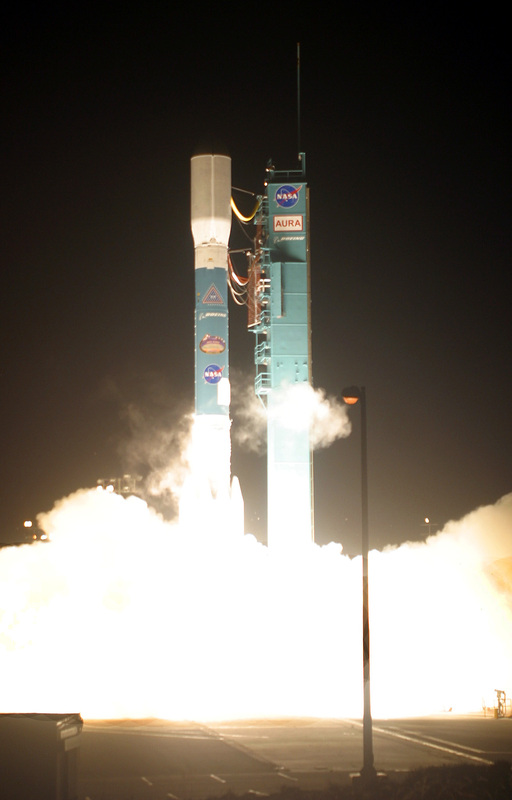 Photo of Delta II rocket courtesy Boeing/Thom Baur.